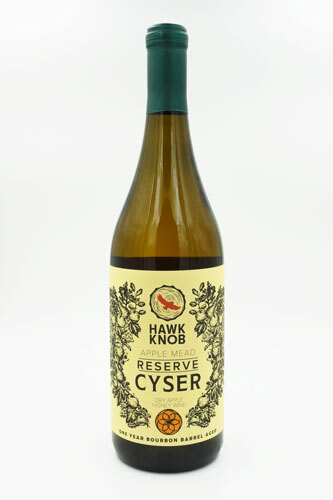 This style of mead, a cyser, combines the juice of heirloom apples with wildflower honey produced in our region. Aged on French and American oak, this dry mead has rich apple and honey overtones with a Chardonnay like buttery finish. Enjoy with a meal or by itself. Best served at cellar temperature. 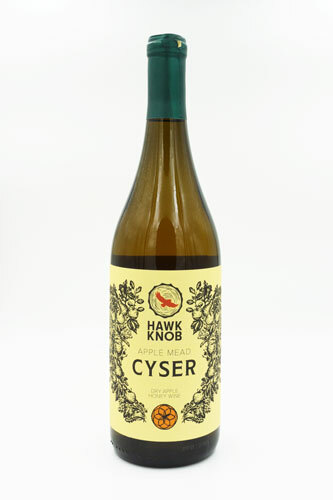 This style of mead, a cyser, combines the juice of heirloom apples with wildflower honey produced in our region. Aged in bourbon barrels for one year, this dry mead has notes of bitter almond, dark cherry, and tobacco. Enjoy with a meal or by itself. This style of mead, a melomel, combines the juice of elderberries with wildflower honey produced in our region. Aged on French and American oak, this dry mead has tart and fruity overtones with a crisp finish and ruby red hue. Enjoy with a meal or by itself.